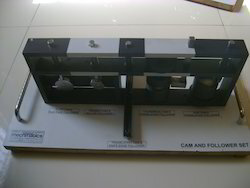 Mounted on weather proof 8 mm thick Ivory Bakellite Board. 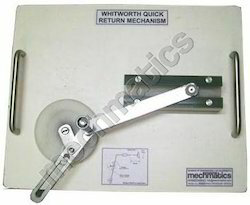 Mounted on weather proof Ivory Bakellite Board. 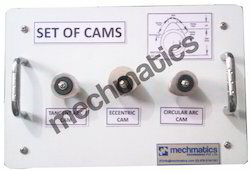 Large Round Knobs for easy Cam moment. 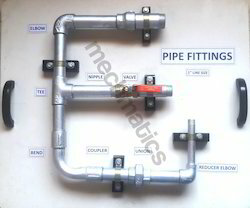 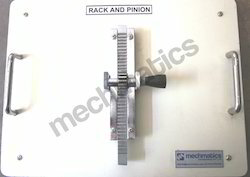 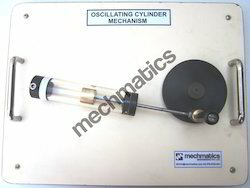 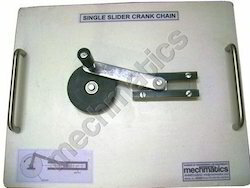 Single Slider mechanism is composed of three important parts: The crank which is the rotating disc, the slider which slides inside the tube and the connecting rod which joins the parts together. 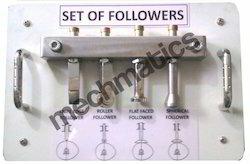 Large Knobs for easy mechanism moment. 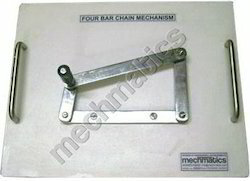 A typical Four Bar Chain Mechanism, as the name denotes, is formed of a kinematic chain of four members connected by revolute joints. 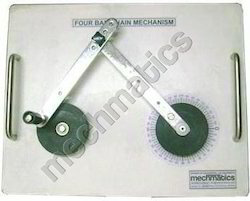 This mechanism can have four possible configurations with a different link fixed as a frame each time. 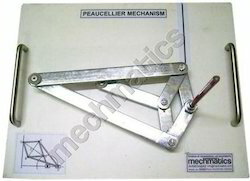 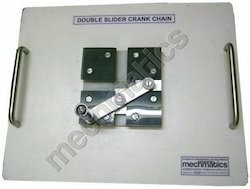 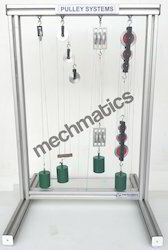 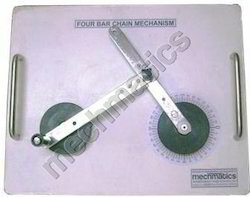 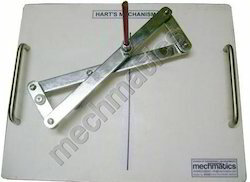 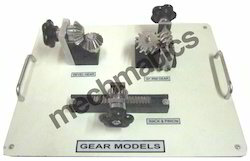 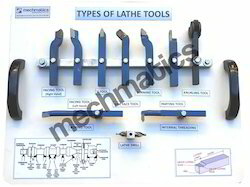 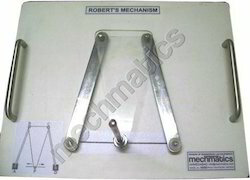 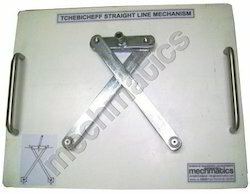 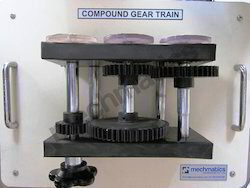 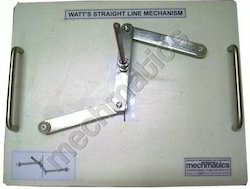 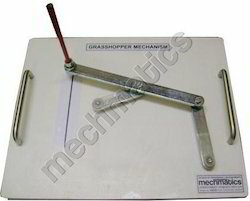 MechMatics offers two forms of four bar chain mechanism models. 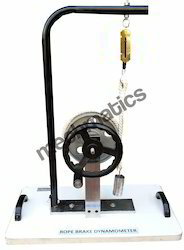 Mounted on weatherproof 8 mm thick Ivory Bakelite Board. 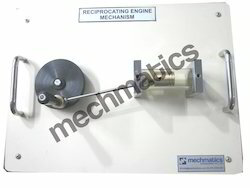 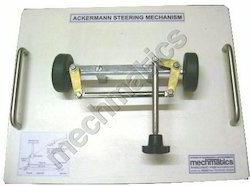 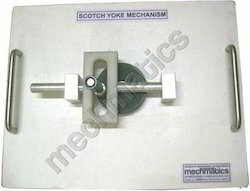 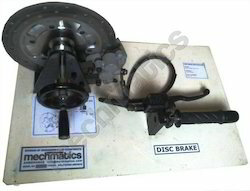 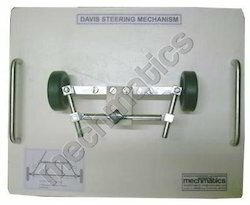 The scotch yoke mechanism converts rotary motion into reciprocating (back and forth) motion using an minimum of parts. 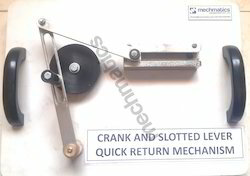 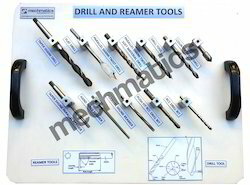 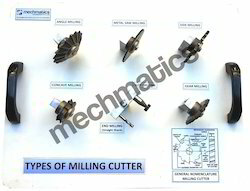 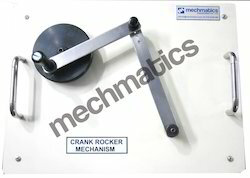 Slider Crank Mechanism is composed of three important parts: The crank which is the rotating disc, the slider which slides inside the tube and the connecting rod which joins the parts together. 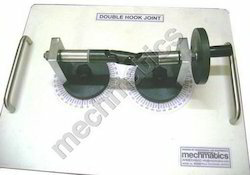 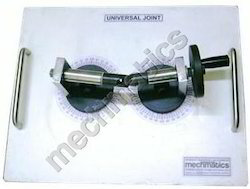 Hooke's Joint or Universal Joint is used to transmit motion from one shaft to another inclined at certain angle. 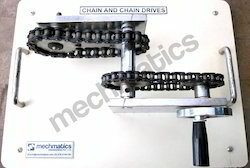 They are commonly found in Automobiles.